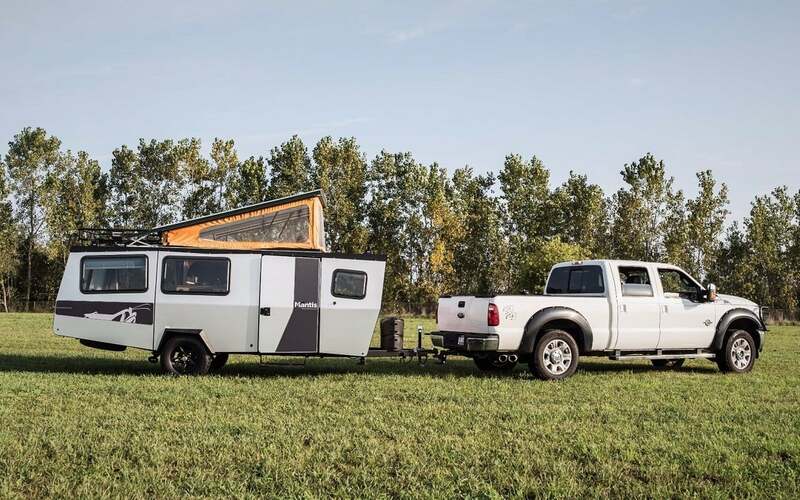 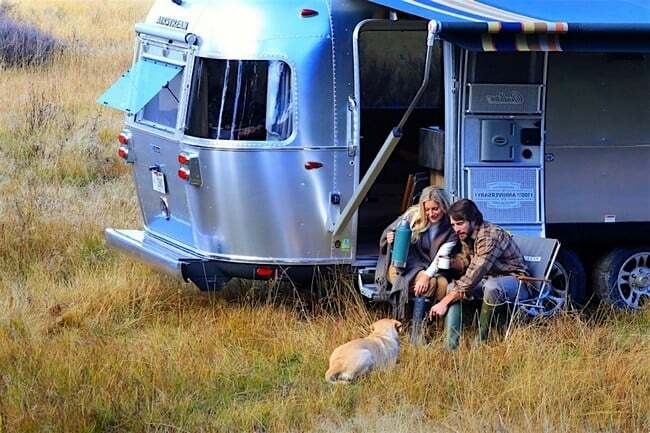 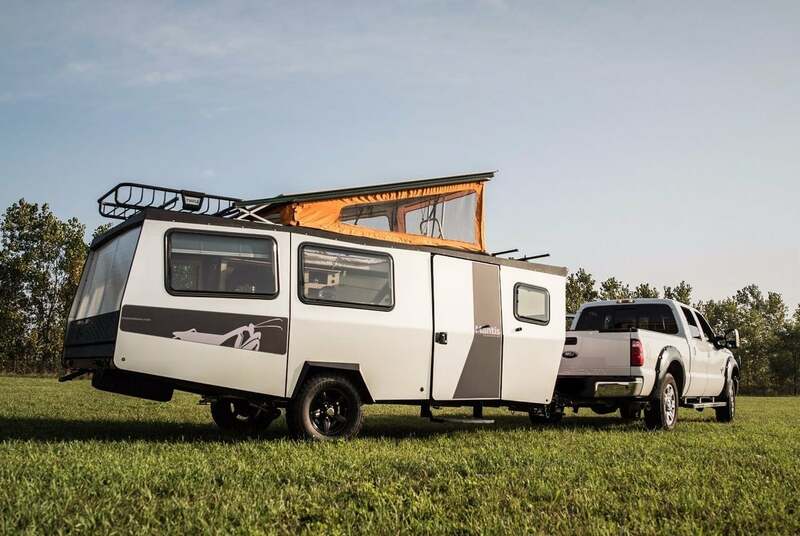 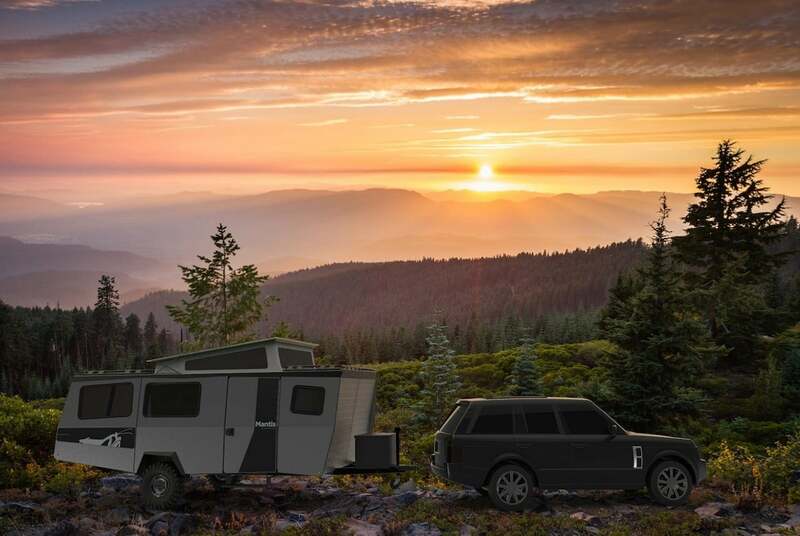 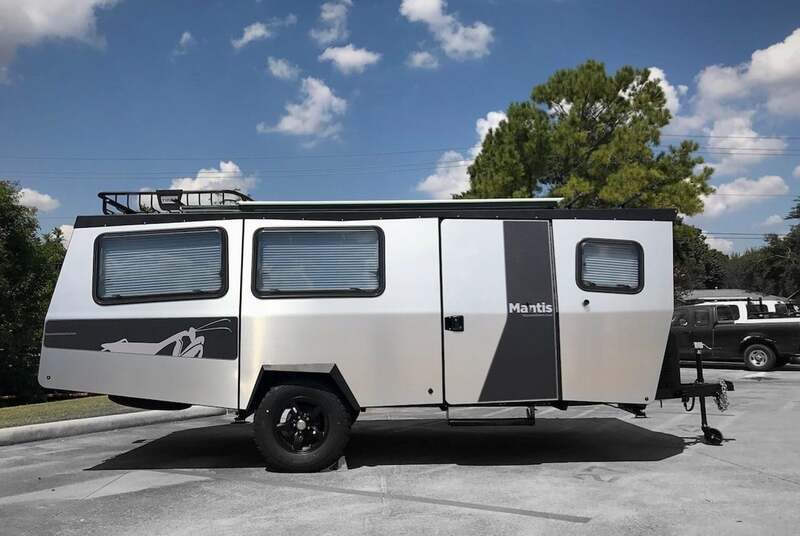 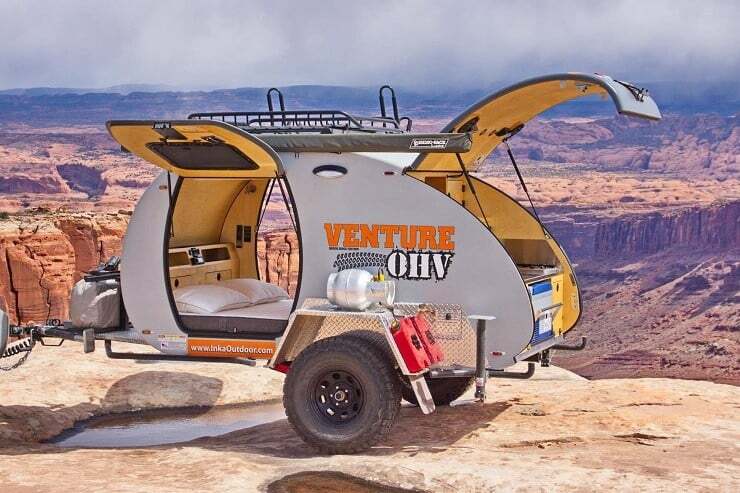 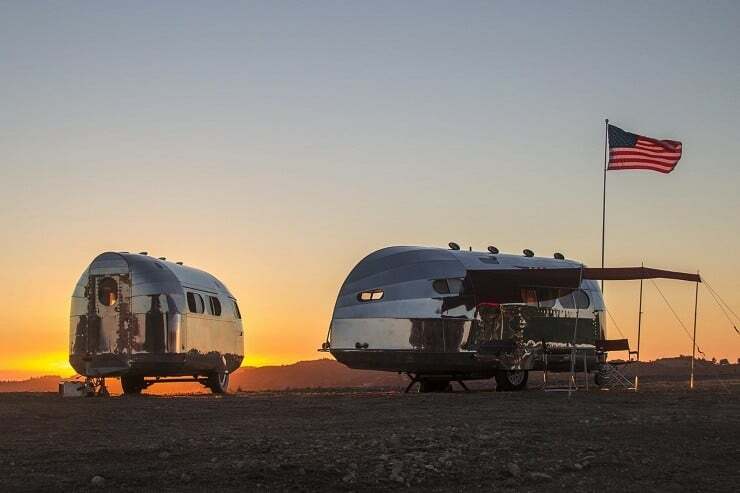 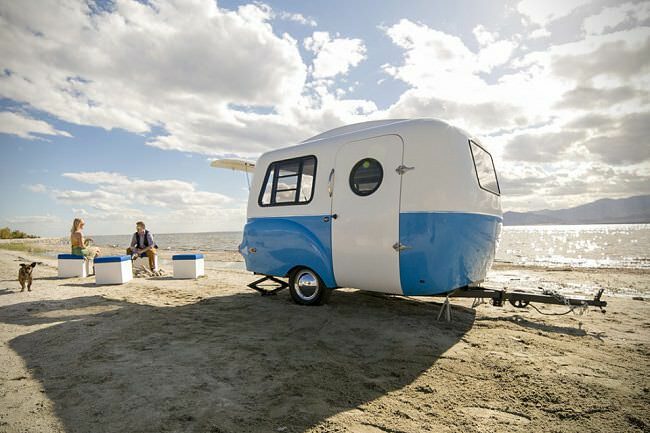 After having burst onto the scene with their inaugural Cricket Camper Trailer, Houston, Texas-based Taxa Outdoor has progressively designed smaller and smaller campers. 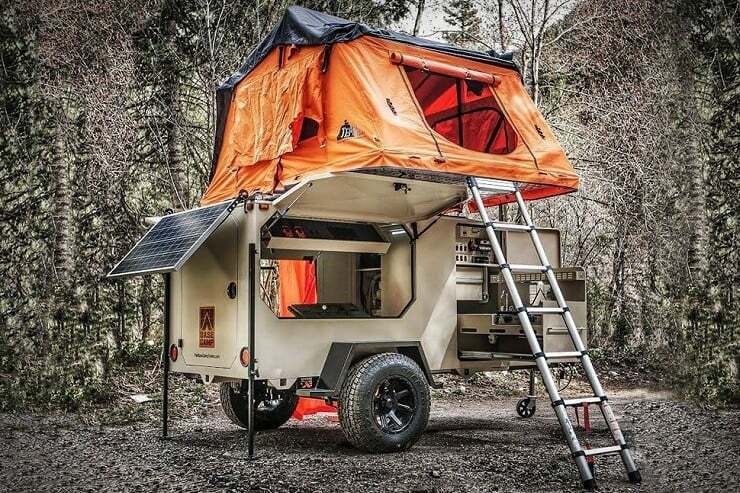 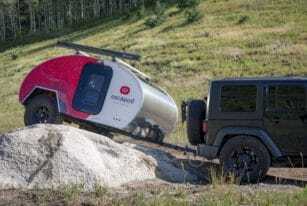 But this year sees a reversal of that trend with the 18′ Taxa Mantis that can sleep up four adults in backcountry bliss. 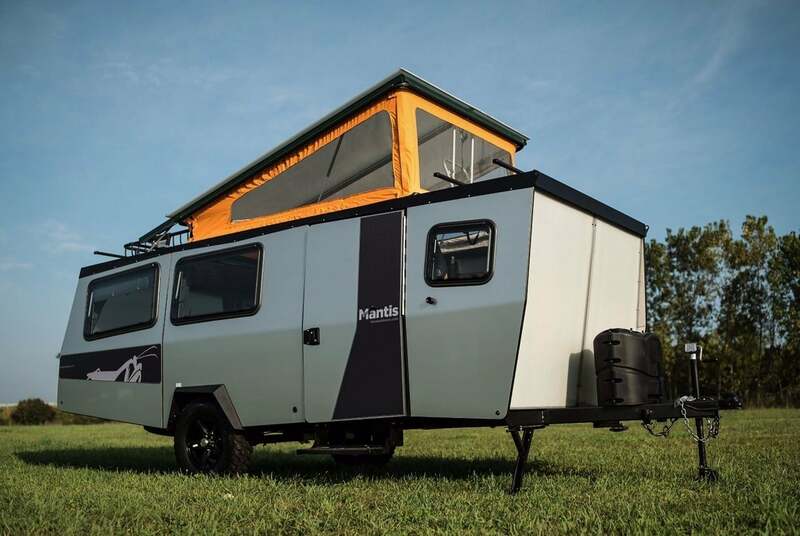 At first glance, the Mantis appears to be a simple rectangular box till the light catches the mid-line crease and windows that tilt in asymmetrical directions. 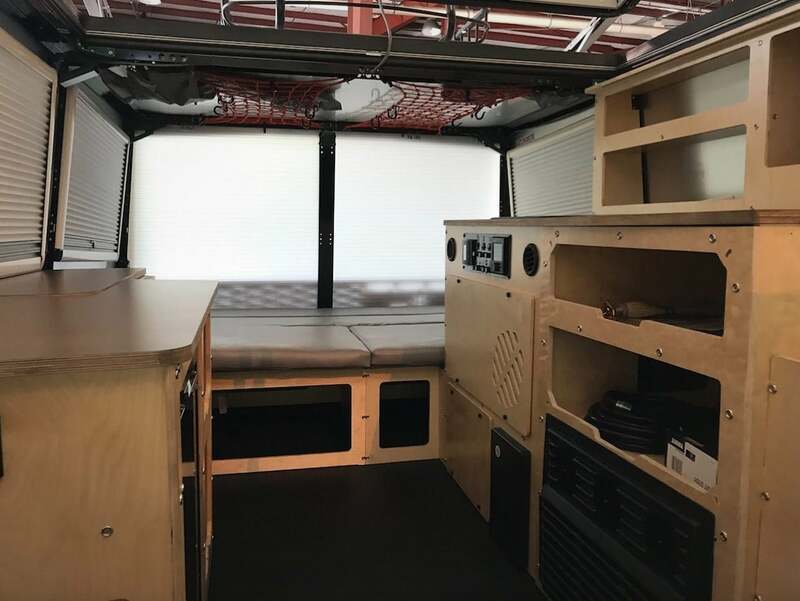 Inside, the layout is rather practical and straightforward with sleeping areas on each end with a full-sized sofa/bed in the rear and a pair of bunk beds in front leaving a central kitchen and wet bath along the social area in the middle. 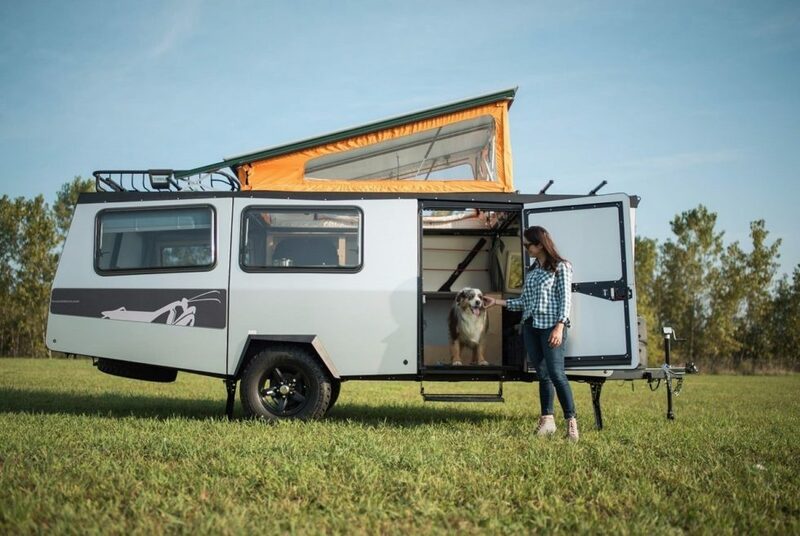 The roof panel raises to provide headroom when stationary and a wealth of storage spaces are also provided for your gear. 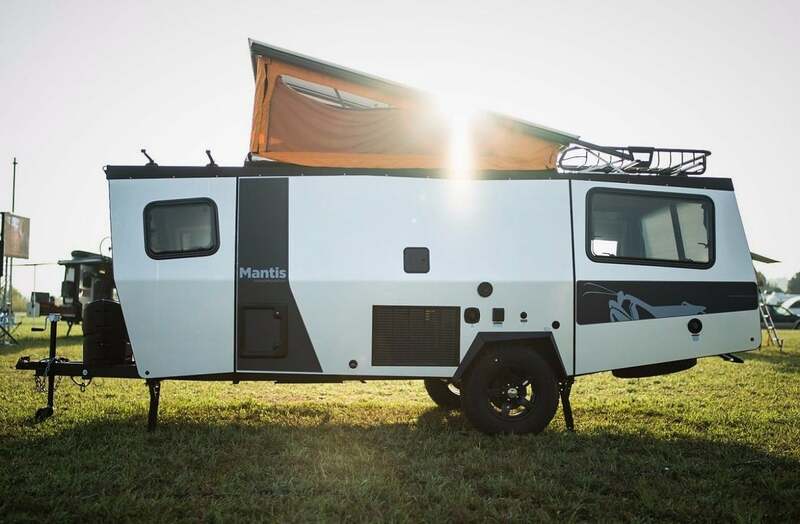 With its hybrid use of propane and electric power, the Mantis is offered in several option combinations.